It's no secret that I love pom-poms and pom-pom projects! I've done a couple of pom-pom projects here on the blog and everyone has always seemed to like them. So I thought it would fun to get back to basics and talk about all things pom-pom! 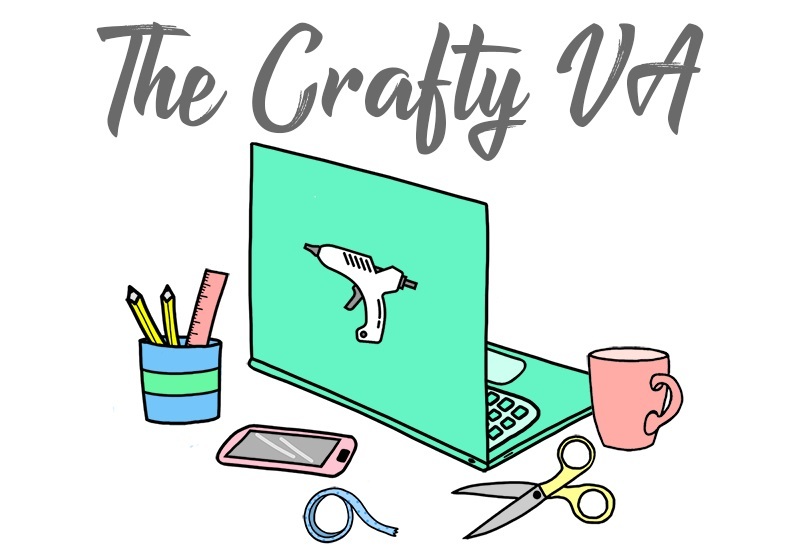 Today's post is geared more towards a beginner, but I'm including a bunch of information that any pom-pom maker might enjoy. 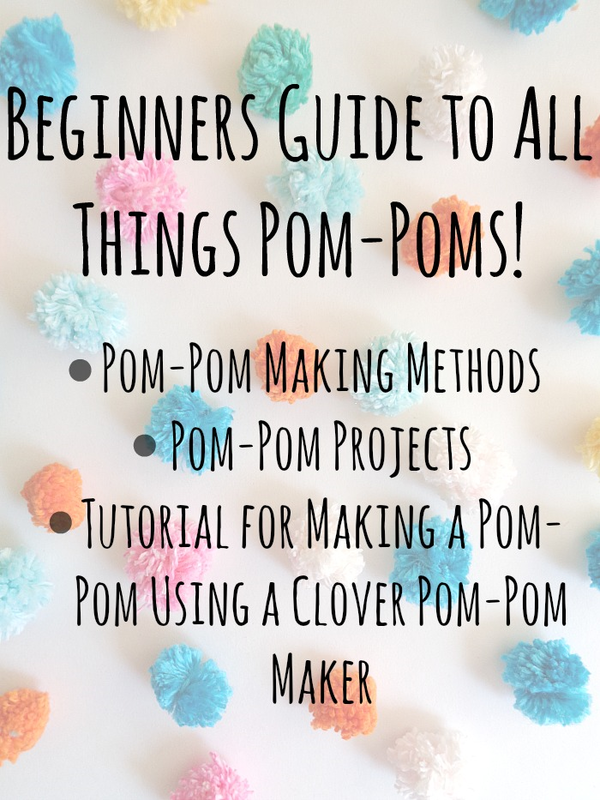 Specifically, I'm going to be talking about different types of pom-pom making methods, show you a full tutorial on how to create a pom-pom (using the Clover pom-pom maker) and finally share some pom-pom projects! There are many different methods out there for making a pom-pom. Depending on the project you're working on and how many pom-poms you need, will probably dictate what method you used. 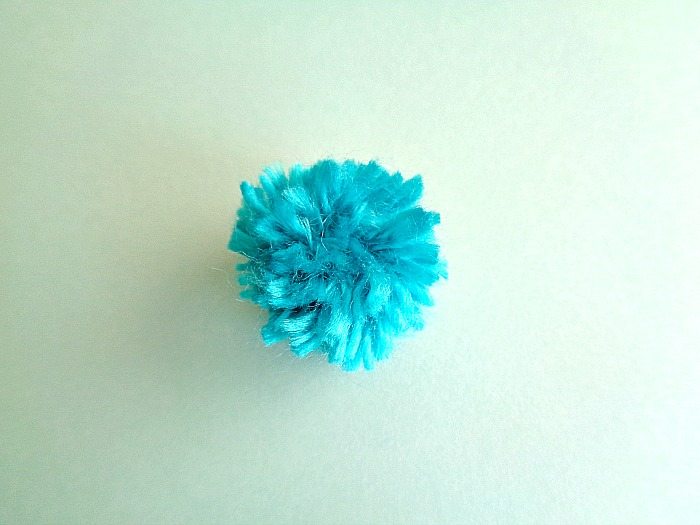 Personally, I like using a pom-pom maker because it's really easy to churn out a ton of pom-poms. Also, I like knowing the exact size of pom-poms that I'm making. That may sound weird, but I think it helps when doing DIY projects. The nice thing about pom-pom makers, is that there usually labeled with the size. However, if you don't have a pom-pom maker that’s ok! Below I listed some links to some awesome tutorials which show you alternative ways of making pom-poms! As you can see, you options for making pom-poms is pretty wide. With that being said, I've never been a fan of the cardboard method. That is because the cardboard wears down after a while and your pom-poms don't come out as fluffy (but that's just my opinion). So like I mentioned above, I'm going to show you how you can make a pom-pom using the 1 Inch Extra Small Pom-Pom Maker from Clover! I tried my best, to break down each step for better understanding. In total, I was able to get the pom-pom making down to 7 steps! 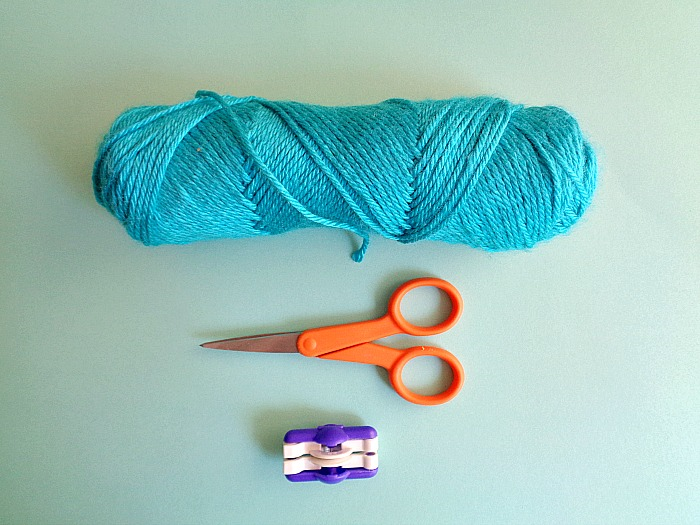 Step 1: Open one side of your pom-pom maker and begin wrapping your yarn around the arm going from left to right. Then when you get to end of the arm, start wrapping again going back towards the left. 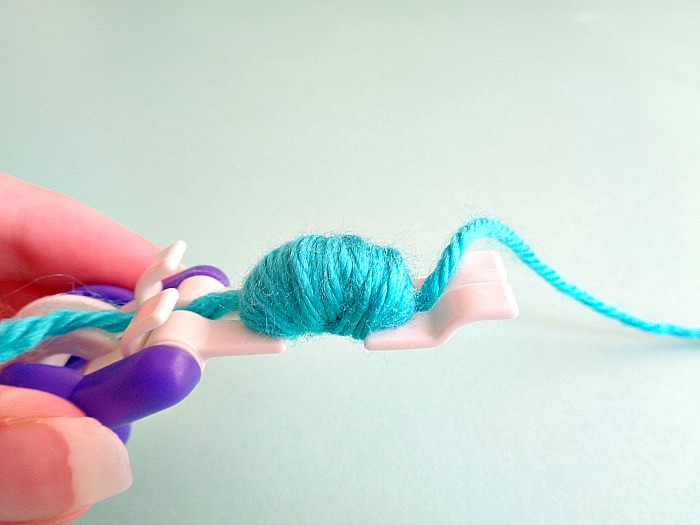 You will want to do this process about 3 times on this size of a pom-pom maker. Once your arm has been wrapped 3 times, you should end on the right side of the arm. 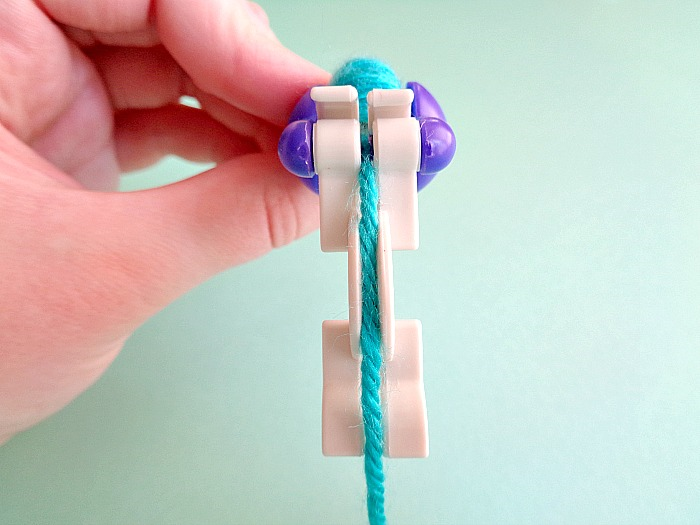 Before closing the arm, take your yarn and feed it through the notch in the arm. 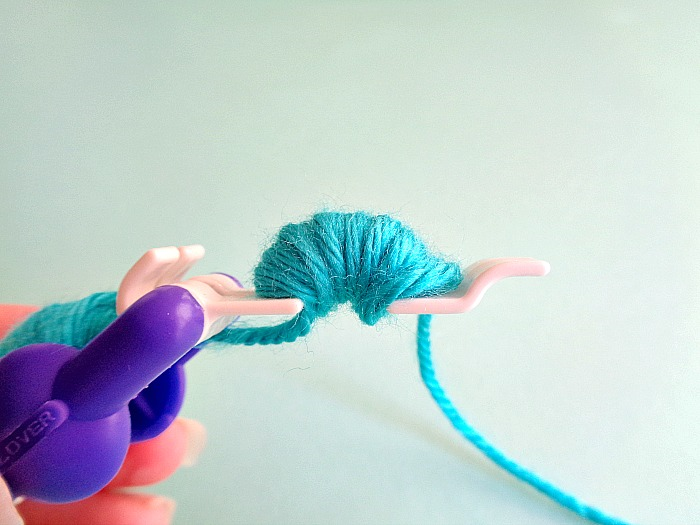 Step 2 Open the other side of your arm and feed your yarn down the middle groove of your pom-pom maker. Step 3: Now repeat step 1 and when your done, cut off the end of your yarn. Step 4: Take your scissors and nestle them in the middle of your pom-pom maker (there is a groove to nestle your scissors in). Then cut down the middle on both sides of your pom-pom maker. 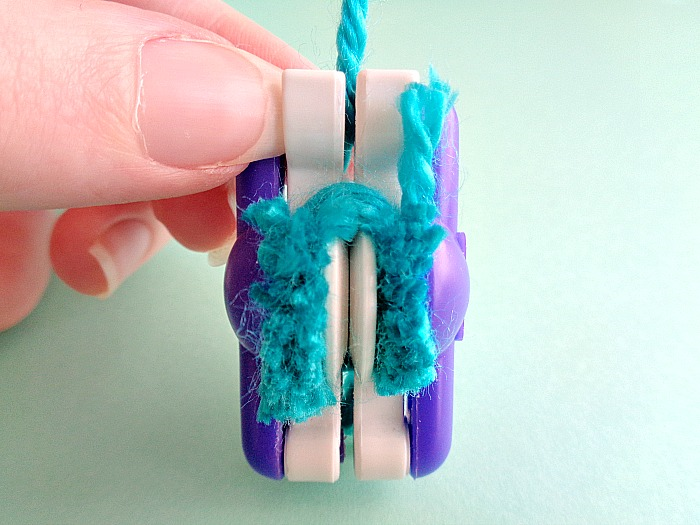 Step 5: Cut a piece of yarn (off your main ball of yarn) and wrap it around the middle of your pom-pom maker (where the groove is) and pull it tight. 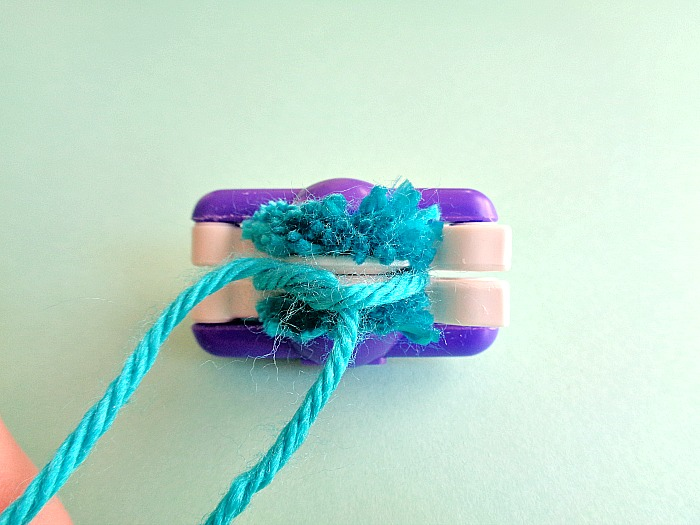 Then tie one or two knots. 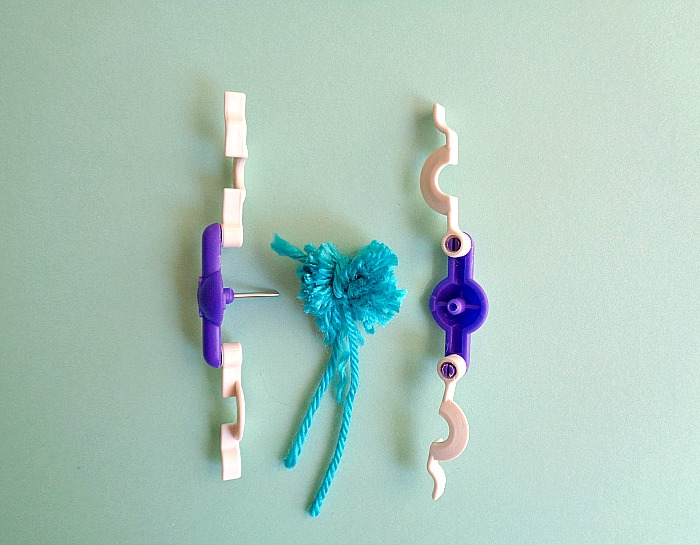 Step 6: Open both arms of your pom-pom maker and pull it apart. Your pom-pom should then fall right out of the pom-pom maker. Step 7: Roll the pom-pom around in your hand, to give it some shape. 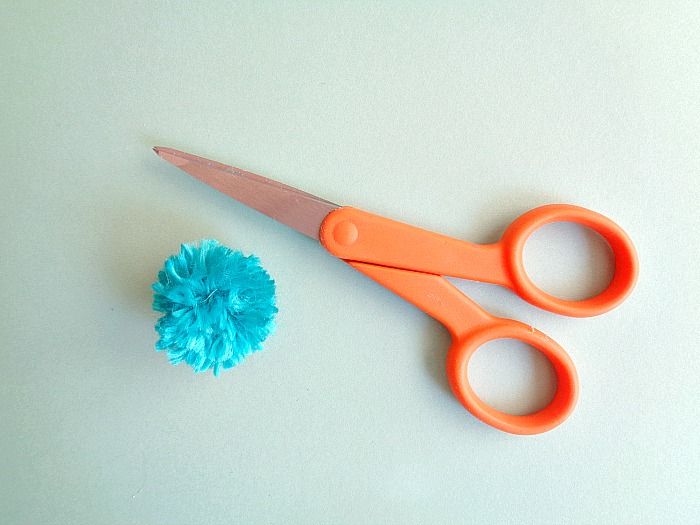 Then trim up your pom-pom using your scissors. Once your happy with how your pom-pom looks, your done! If you have never used a pom-pom maker before, the first pom-pom you make may not be to your liking. 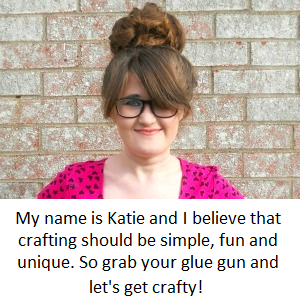 However, with some practice, you will be making pom-poms in no time! Now since you know how to make some pom-poms, it's time to make a project! Here on the blog I've done several pom-pom projects, one of my favorites is this DIY: Pom Pom Black Cat Home Decor. This project is actually supposed to made around Halloween, but (let's be honest) we all could use some cat home decor! I also love this DIY Pom-Pom Heart Pillow that I made for Seams and Scissors! If you want to see all my pom-pom projects, then click here. Besides my own projects, I did write a round-up post last year called ''Put A Pom Pom On It! 9 Creative Pom Pom DIYs''. In that post, I included a bunch of different projects which use pom-poms and pom-pom trim, in surprising ways! 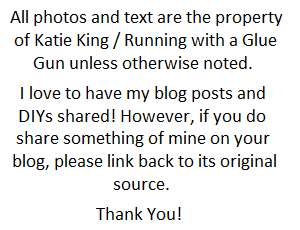 Hopefully, you found all this information helpful! If you have any questions or want to share your own pom-pom projects or tips, leave a comment below! So, what are you thoughts on pom-poms and pom-pom making?